All Big King Salmon Charter skippers are US COASTGUARD licensed and fully insured. Your safety and comfort are our number one priority. 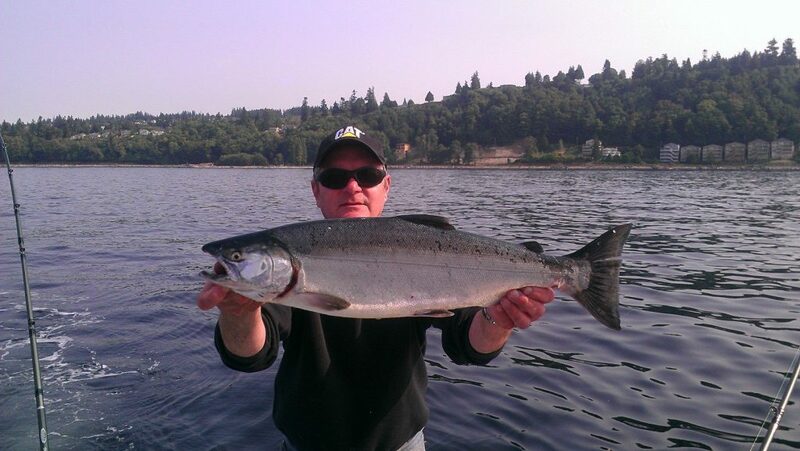 We specialize in world class salmon and bottom fishing trips on the beautiful and calm waters of Puget Sound. In addition to great fishing you will have the opportunity to see variety of wildlife from bald eagles to whales seals gulls, And various feeding birds. Our charters service features custom six passenger trolling boats. All boats are fully equipped with the best gear and tackle provided. All boats are equipped with electric downriggers loran GPS Radar Digital fish finders Restrooms and fully enclosed cabins available when you want to get out of the weather. Whether you are an experienced angler or a first timer, we will provide the fishing experience that’s right for you. We run year round fishing trips out of both Seattle and Everett, call and book your trip with Big King Salmon Charters today!